On November 20, 2018 as our family gathered around his hospital bed, Robert Joseph Stringari took his last breath. He was born to Joe & LaDonna on October 11, 1938 in Billings, Mt. He attended school in Fromberg and then moved to Belfry where he graduated from high school in 1957. Bob was lucky enough to be part of the Class C State Football Championship in 1956. He then went to work for the Yellowstone Park Service. Bob met the love of his life Connie Koch then on October 22, 1960 they began their 58 years of marriage. With this union they had four children Pam, Scott, Cindy & Kim. Bob & Connie made their home in Chance Mt where farming and ranching became their way of life. In 1994 they sold the farm and were off to Powell for their new adventure. He then went to work for Shoshone Irrigation District. 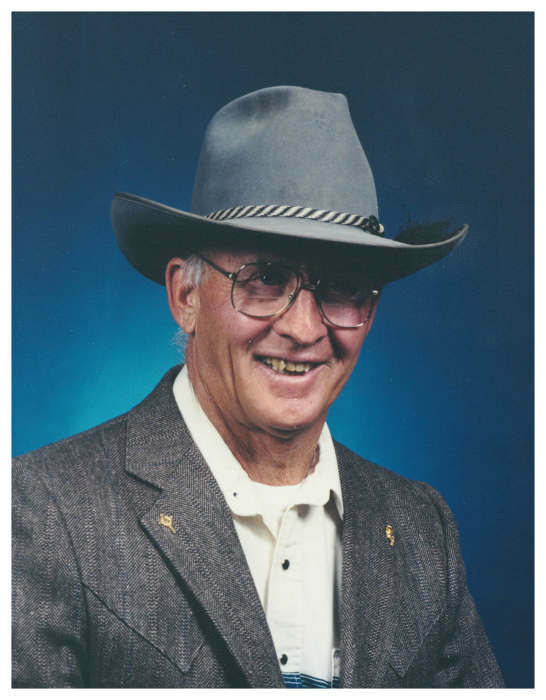 He loved the outdoors and was an avid hunter and fisherman. He wore many hats in his life S&S Outfitters, Cowboy, Fireman, Rodeo Clown and Oil Rigs. One of the biggest hats was his faith, he was a 4th Degree Knight in the Knights of Columbus and this allowed him to travel and share what God meant to him. One of his fellow Knight's said "Bob's deep faith helped me be stronger in mine" He was happiest when he was surrounded by family and friends and will be greatly missed. Bob was proceeded in death by his parents, sister Delores, brother- in- law Wayne Anderson, his in law's Joe & Emma Koch. Bob is survived my his wife Connie, Pam, Scott (Priscilla), Cindy (Wade), Kim (Brian) 14 grandchildren 12 great grandchildren, his brother Gene (Althea) sister Donna. Brother & Sister in- law's Gene (Eileen) Gerald (Betty) Kathleen, Marilyn (Roben) Denis (Kathy) many nieces and nephew's. A very special thank you to the Big Horn Cancer Center and West Park Hospital for the amazing care that he received from your staff. Also to Jim and Denise Flowers and Family for always being there. In lieu of flowers memorials can be made to Big Horn Cancer Center, Saint Barbara's Church or a charity of your choice.